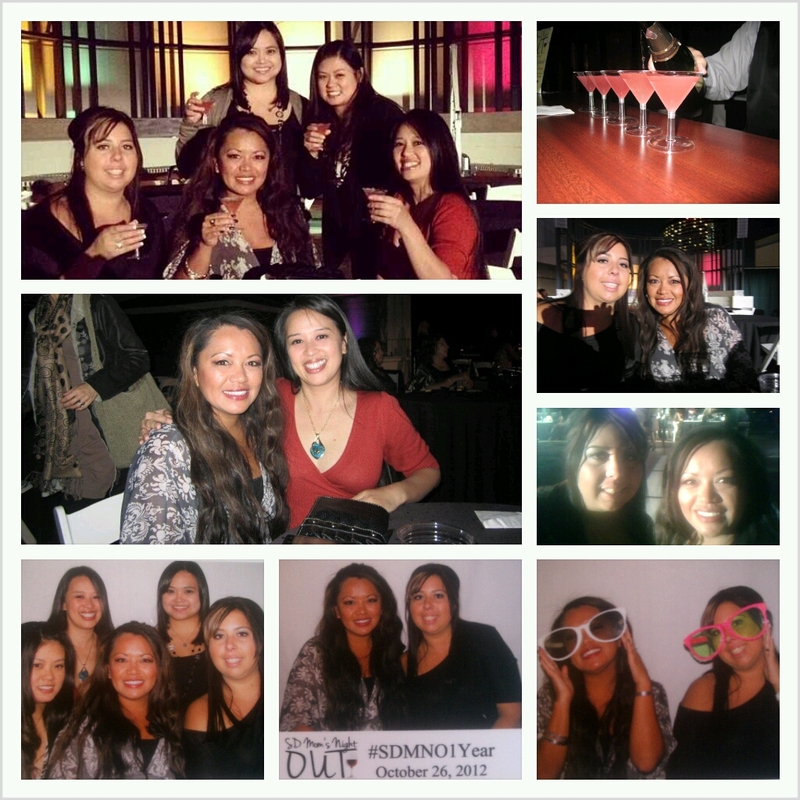 Thank you SD Mom's Night Out for an amazing, well deserved night out. We enjoyed celebrating with you and the other incredible Moms out there your 1 Year Anniversary!! The food and drinks were amazing. There was all you can eat sushi, sliders and appetizers all throughout the night. Champagne, wine and Momotini's along with other deliciousness at the bar. Though it didn't stop there...there was also some amazing desserts! I can't believe I forgot to take pics of all of it. The atmosphere and view of the San Diego was perfect! You couldn't have picked the perfect place. My family and I are big fans of the Manchester Grand Hyatt. It was a night out with my fellow friend and Blogger Cynthia of Life by Cynthia, her sister and friends and my good friend Monica. I enjoyed being able to get dolled up and be without bickering kids for a few hours. They had amazing prizes raffled off as well as a Grand prize being a stay at the Manchester Grand Hyatt along with a couples massage from Kin Spa. I was also lucky enough to win tickets to the Broadway show Peter Pan! An extra added fun we had was the photo booth by Memories Event Photography. My friends and I had a blast squeezing into a booth, acting silly with props and having lasting memories. Lastly, who can't forget about the swag bags! Those who were the first 50 to arrive received special swag bags with extra goodies sponsored by Disney, SDG&E, The Stronghold SD and many, many more. In addition to getting a night out to hang out with my friends. I was finally able to meet some other amazing Moms in the Social Media world who I have followed and admired for quite some time now. It was great to finally had a chance to meet Tracey from Don't Mess With Mama and Stacey from San Diego Bargain Mama. Thanks Tracey for making me feel like I wasn't the only one going crazy with two rambunctious boys! I also met as I was leaving, Raquel from Stronghold and enjoyed chatting it up with her. Thanks again to all the sponsors for this event. My friends and I had a wonderful night and it couldn't have happened without your help! I look forward to more events by the wonderful ladies of SD Mom's Night Out. We are so glad you had an amazing time! Congratulations on winning the tickets to Peter Pan! It's going to be an amazing show! And your photo booth pictures came out looking awesome!